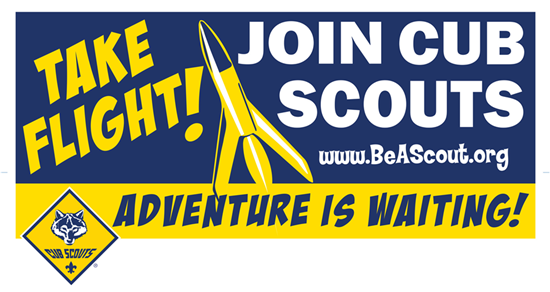 It is never to late to become a Cub Scout. Pack 735 is located in the Bonsall/Fallbrook area and Scouts come from various local schools. Join us today and start Scouting! For more information contact us. Cub Scouting members join a Cub Scout pack and are assigned to a den, usually a neighborhood group of six to eight boys. Tiger Cubs (first-graders), Wolf Cub Scouts (second-graders), Bear Cub Scouts (third-graders), and Webelos Scouts (fourth- and fifth-graders) meet weekly. Thousands of volunteer leaders, both men and women, are involved in the Cub Scout program. They serve in a variety of positions, as everything from unit leaders to pack committee chairmen, committee members, den leaders, and chartered organization representatives. Like other phases of the Scouting program, a Cub Scout pack belongs to an organization with interests similar to those of the BSA. This organization, which might be a church, school, community organization, or group of interested citizens, is chartered by the local BSA council to use the Scouting program. This chartered organization provides a suitable meeting place, adult leadership, supervision, and opportunities for a healthy Scouting life for the boys under its sponsorship. Each organization appoints one of its members as a chartered organization representative. The organization, through the pack committee, is responsible for providing leadership, the meeting place, and support materials for pack activities. Groups responsible for supporting Cub Scouting are the boys and their parents, the pack, the chartered organization, and the community. The boy is encouraged to pay his own way by contributing dues each week. Packs also obtain income by working on approved money-earning projects. The community, including parents, supports Cub Scouting through the United Way, Friends of Scouting enrollment, bequests, and special contributions to the BSA local council. This financial aid supports leadership training, outdoor programs, council service centers and other facilities, and professional service for units. Recognition is important to young boys. The Cub Scouting advancement plan provides fun for the boys, gives them a sense of personal achievement as they earn badges, and strengthens family understanding as adult family members work with boys on advancement projects. Bobcat. The Bobcat rank is for all boys who join Cub Scouting. Tiger Cub. The Tiger Cub program is for first-grade (or age 7) boys and their adult partners. There are five Tiger Cub achievement areas. The Tiger Cub, working with his adult partner, completes 15 requirements within these areas to earn the Tiger Cub badge. These requirements consist of an exciting series of indoor and outdoor activities just right for a boy in the first grade. Wolf. The Wolf program is for boys who have completed first grade (or are age 8). To earn the Wolf badge, a boy must pass 12 achievements involving simple physical and mental skills. Bear. The Bear rank is for boys who have completed second grade (or are age 9). There are 24 Bear achievements in four categories. The Cub Scout must complete 12 of these to earn the Bear badge. These requirements are somewhat more difficult and challenging than those for Wolf rank. Webelos. This program is for boys who have completed third grade (or are age 10). A boy may begin working on the Webelos badge as soon as he joins a Webelos den. This is the first step in his transition from the Webelos den to the Boy Scout troop. As he completes the requirements found in the Webelos Handbook, he will work on activity badges, attend meetings led by adults, and become familiar with the Boy Scout requirements—all leading to the Arrow of Light Award. Cub Scouting means “doing.” Everything in Cub Scouting is designed to have the boys doing things. Activities are used to achieve the aims of Scouting—citizenship training, character development, and personal fitness. The Cub Scout Academics and Sports program provides the opportunity for boys to learn new techniques, increase scholarship skills, develop sportsmanship, and have fun. Participation in the program allows boys to be recognized for physical fitness and talent-building activities. Age-appropriate camping programs are packed with theme-oriented action that brings Tiger Cubs, Cub Scouts, and Webelos Scouts into the great out-of-doors. Day camping comes to the boy in neighborhoods across the country; resident camping is at least a three-day experience in which Cub Scouts and Webelos Scouts camp within a developed theme of adventure and excitement. “Cub Scout Worlds” are used by many councils to carry the world of imagination into reality with actual theme structures of castles, forts, ships, etc. Cub Scout pack families enjoy camping in local council camps and other council-approved campsites. Camping programs combine fun and excitement with doing one’s best, getting along with others, and developing an appreciation for ecology and the world of the outdoors. Volunteers are informed of national news and events through Scouting magazine (circulation 900,000). Boys may subscribe to Boys’ Life magazine (circulation 1.3 million). Both are published by the Boy Scouts of America. Also available are a number of youth and leader publications, including the Tiger Cub Handbook, Wolf Handbook, Bear Handbook, Webelos Handbook, Cub Scout Leader Book, Cub Scout Leader How-to Book, Cub Scout Program Helps, and Webelos Leader Guide. Since its origin, the Scouting program has been an educational experience concerned with values. In 1910, the first activities for Scouts were designed to build character, physical fitness, practical skills, and service. These elements were part of the original Cub Scout program and continue to be part of Cub Scouting today. Character can be defined as the collection of core values possessed by an individual that leads to moral commitment and action. Core values are the basis of good character development. In helping boys develop character, Cub Scouting promotes the following 12 core values. Apart from the fun and excitement of Cub Scout activities, the Cub Scout Promise, the Law of the Pack, and the Cub Scout sign, handshake, motto, and salute all teach good citizenship and contribute to a boy’s sense of belonging. • The blue stands for truth and spirituality, steadfast loyalty, and the sky above. • The gold stands for warm sunlight, good cheer, and happiness.